Steve’s breakdown: Angela Zgabay-Zgarba is the contact for the Texas Lottery account review and she can be reached at Angela.Zgarba@lottery.state.tx.us. Proposals are due December 5th so jump on it! AUSTIN, TX: The Texas Lottery Commission is issuing this Request for Proposals (RFP) to obtain proposals from qualified vendors to provide advertising services for the Texas Lottery with the objective of responsibly communicating information to all adult (ages 18+) Texans intended to enhance awareness of Texas Lottery games and the mission of the Texas Lottery to generate revenue for the State’s designated beneficiaries including Texas public education and veterans. The Successful Proposer must be able to perform the functions of a full-service advertising agency, including, branding, creative concepting, production, planning and buying of broadcast, print, digital, social, out-of-home media, experiential event/marketing activations, and translation services. The Successful Proposer shall exhibit a thorough understanding of Texas as a minority­ majority state and must demonstrate the ability to effectively reach and speak to all adult (ages 18+) Texans. Proposers are required to discuss their in-house advertising research capabilities, and/or access to advertising research resources for the Texas Lottery. The Texas Lottery will provide the Successful Proposer with a marketing strategy including planned product flights as well as an overall budget. The strategy shall clearly define goals and communication objectives. 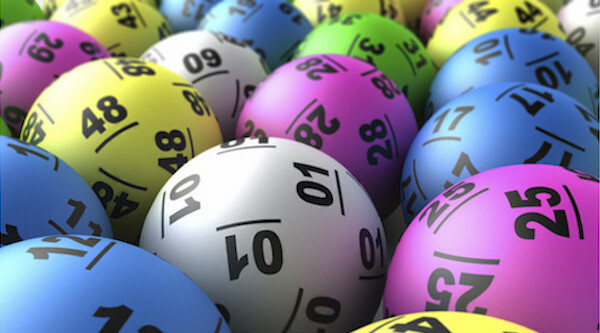 The Texas Lottery and the Successful Proposer shall meet as needed to review the goals and objectives. The Texas Lottery may modify and/or amend the goals and objectives at any time. (I) Allocation of dollars by media and DMA with detailed rationale. (2) Projected production and agency fee costs. (3) Measurable metrics as appropriate for each medium (i.e., impressions, GRPs, etc.). (4) Detailed media flowchart that specifies mediums, market tiers and costs. (5) Experiential event and marketing activation opportunities and any other topics specified by the Texas Lottery. The advertising plan should be based on the Texas Lottery’s fiscal year (FY) (September I -August 31). The Successful Proposer shall submit an advertising plan for FYI 9 no later than four weeks after the Contract execution date, or as specified by the Texas Lottery. Advertising plans will be due annually thereafter no later than May 31 or as specified by the Texas Lottery. The level of anticipated annual Fiscal Year spending will be determined by the Texas Lottery. The budget for Fiscal Years 2018 and 2019 is $26,633,448 annually. The Successful Proposer shall develop a cost-efficient advertising plan that is responsive to the Texas Lottery’s marketing needs. The Successful Proposer shall be responsible for concepting, creation and production of Texas Lottery advertising materials, including broadcast, digital, social, point-of-sale and print advertisements, out-of-home and such other materials and projects as may be required by the Texas Lottery. The Successful Proposer also may be required to develop comprehensive integrated campaigns and to assist the Texas Lottery in developing game names, product logos, or art for other use. Creative Concepts. The Successful Proposer shall present at least three (3) creative concepts for each campaign and, upon Texas Lottery approval of the campaign concept, the Successful Proposer shall present three (3) creative options for each medium in the campaign unless otherwise specified by the Texas Lottery. Creative Meetings. The Successful Proposer shall schedule creative meetings with the Texas Lottery. Unless otherwise approved by the Texas Lottery, the Successful Proposer shall provide at least five (5) Working Days’ advance notice for all creative meetings. Creative meetings will be held on an as-needed basis. Timelines. The Successful Proposer shall allow sufficient time for developing and presenting creative concepts, editing and revising selected options, obtaining final approvals from Texas Lottery staff, producing the final product, and distributing the finished product according to Texas Lottery specifications. Unless otherwise approved by the Texas Lottery, all timelines shall include a minimum of five (5) Working Days for approval by the Texas Lottery for each stage of each job or project. The Successful Proposer shall provide detailed production schedules with task milestones for each job. Creative Approvals. The Successful Proposer shall obtain written approval from the Texas Lottery prior to producing any advertisement. When producing any creative work, the Successful Proposer shall not vary from approved scripts, story boards or print layouts without written approval from the Texas Lottery. Allison & Partners and Edelman PR have offices in Texas.